Coimbatore : Radha Sapthami and Suriya Jeyanthi functions were held at the Thirumalai Venkateswara Srivari hall in Mettupalayam, which is also known as 'Then Tirupati.' Venkateshwara Swami procession was taken as a ‘thiruveedhi ula’ in various chariots after which the Golden Chariot ride took place showcasing Venkateshwara Swami with Sri Devi and Poo Devi on both sides. The chariot was taken around ‘naangu mada veedhi’ and then came to a standstill. 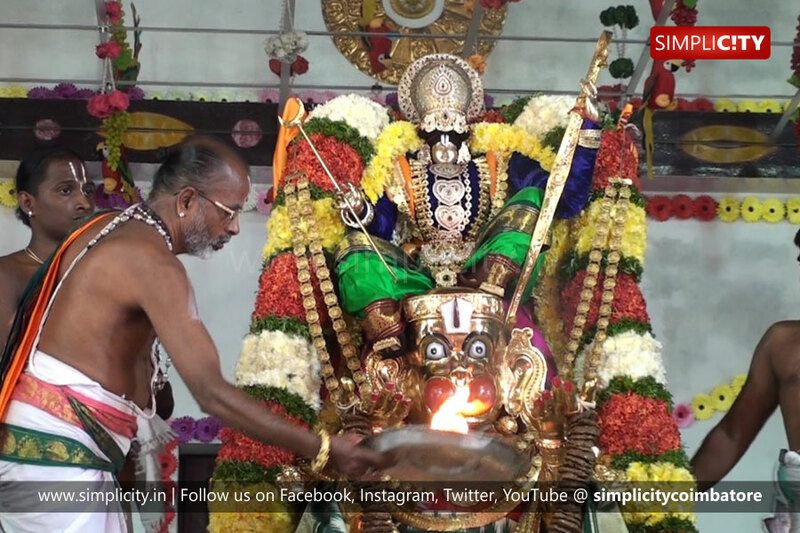 Hundreds of devotees in and around Mettupalyam participated in the festive procession.